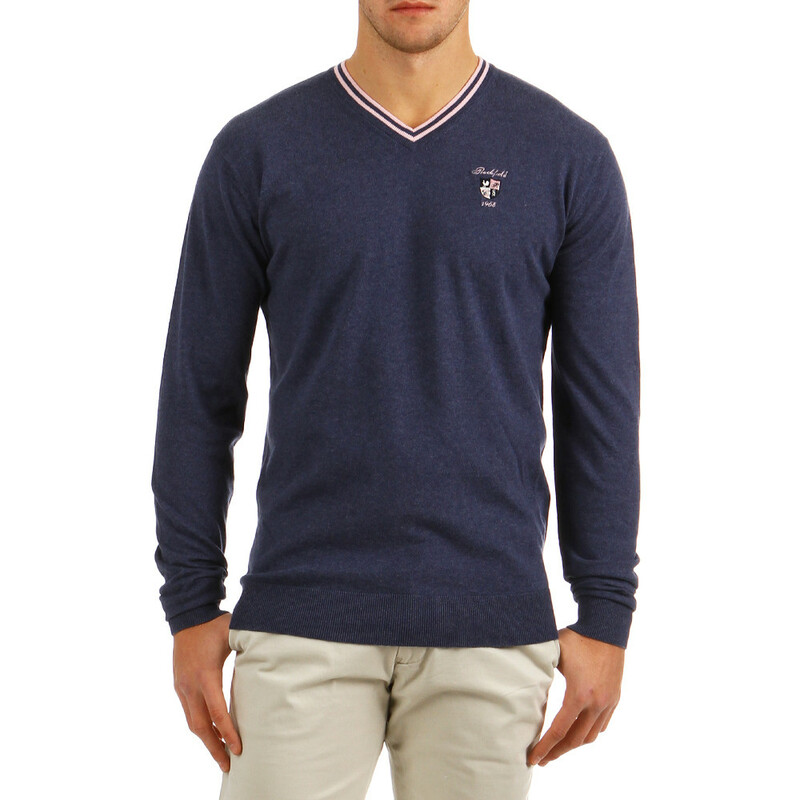 100% cotton dark blue V-neck pullover. 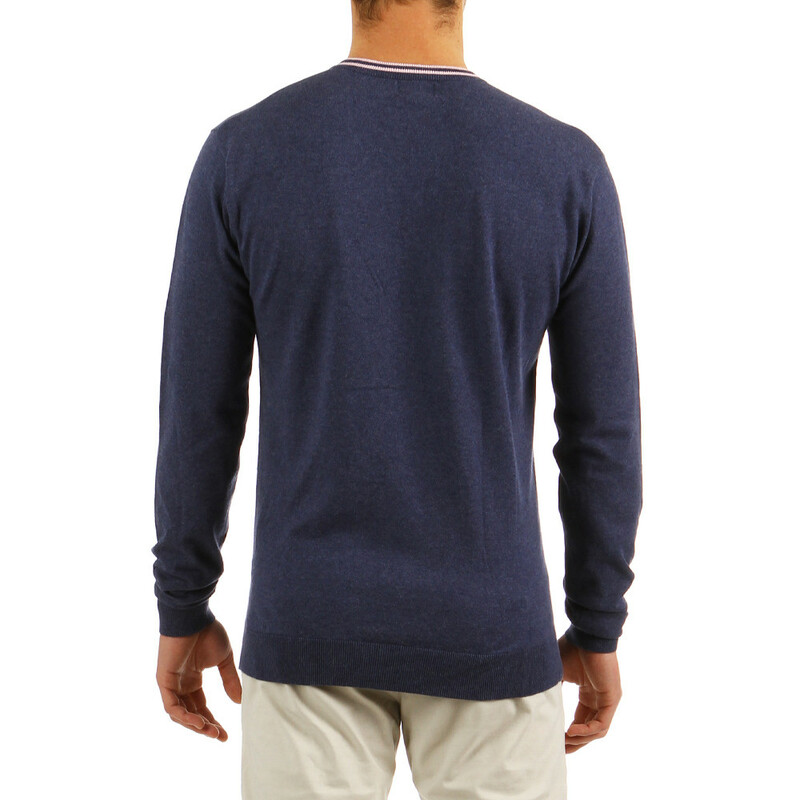 100% cotton dark blue V-neck pullover. Embroideries on the chest, and contrasted pink rib knit collar.